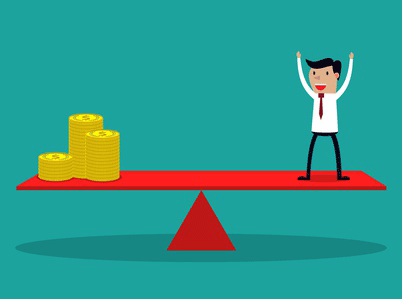 The Total Compensation Blog | COMPackage » Blog Archive » On a Fixed Budget, What Sort of Benefits Should You Offer Employees? On a Fixed Budget, What Sort of Benefits Should You Offer Employees? A good compensation package attracts and retains top talent, so it’s crucial for companies to provide the best they can offer. It’s why employee benefits statements are so crucial — they serve as a measurement of just how much a company is willing to invest in its people. But if your company is working within a fixed budget, how can you provide enticing benefits without overspending? How can you go beyond government-mandated benefits and deliver something extra? Work-life balance is a goal for many employees, so help them achieve that by giving them a flexible schedule. There are several ways to accomplish this, such as authorizing a couple of work-from-home days every week, implementing staggered hours instead of a fixed login time, or allowing people to offset shorter hours in one workday with longer hours in another workday. You’re not giving money to your employees when you offer them flexible schedules. You’re giving them time, which, to many, is far more valuable. The US doesn’t require employers to grant paid vacation leave to employees. But all work and no play makes Jan a disgruntled worker, so it’s better to allot a fixed number of paid vacation days which your employees can use whenever they want to as long as they give advanced notice. To avoid going over budget, don’t make unused days convertible to cash. Forfeit them at the end of the year and reset the counter at the start of the new one. Or you might choose to give an extended rollover period, for example for a period of three months. According to a 2016 survey by Magnify Money, more than half of Americans are living paycheck to paycheck. Given how large this statistic is, chances are that many of your employees are living this way, even if they’ve been working for years. Help them out by teaching them how to fish. Offering financial planning assistance won’t cost your company a lot, but it can make a world of difference for your employees who are struggling to budget their money wisely. Individual rates are higher than corporate rates, so your employees will appreciate it if they can get a discount through your company on life, accident, auto and other kinds of insurance. Also, automatic payroll deductions make payments faster and easier. This added convenience is a benefit worthy of being included in employee benefits statements. Where do your employees get their morning coffee? Where do they work out after they leave the office? Most likely, it’s that cafe around the corner and the gym a couple of blocks away, respectively. Thus, approach nearby commercial establishments to see if you can get discounts for your employees. A lot of businesses will be happy to oblige if it means more customers. These examples clearly show that although monetary compensation is of primary importance for many people, the little things do add up and make a difference. But your employees won’t get to appreciate the full effect of these perks unless you lay it out for them in employee benefits statements from companies like COMPackage.com. Only then will they see the total value of the compensation they’re receiving. If you’ve been looking for a way to boost staff morale, employee benefits statements are the way to go. After all, you can’t appreciate what you don’t know you have.